The Way of St James (Compostela track) is a spiritual, initiatory travel for pilgrims of all beliefs and positions. A growing number of authentic pilgrims or simple walkers follows the numerous ways which make it possible to reach Santiago di Compostela, at the end of Galicia. The large crowd of the pilgrims is only present in Spain. If the foreigners, for the majority, begin the pilgrimage in Spain, many courageous Europeans leave their respective countries on foot, to Puy-en-Velay, the starting city which today has the favour of the walkers. Definitely fewer people starts from Vézelay, Arles or Paris. 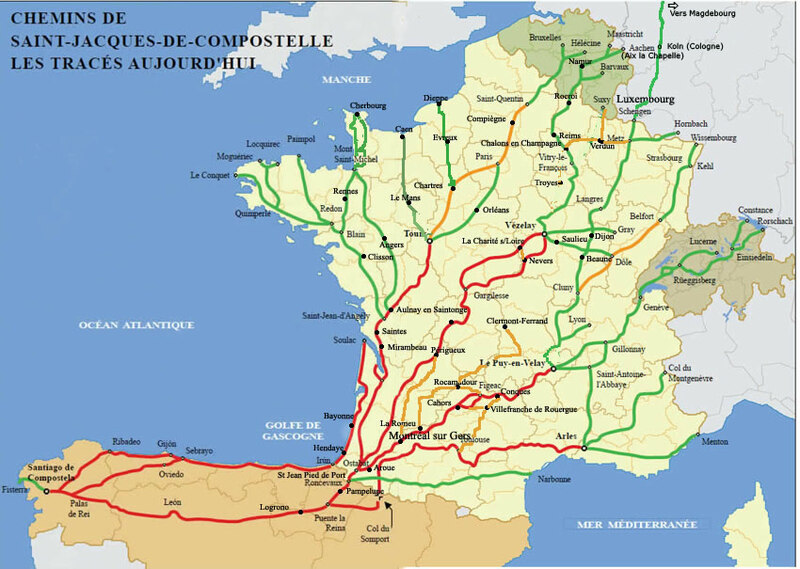 But for reaching France, it is necessary to cross the countries bordering, like Belgium or Switzerland. Thus, courageous German and people of the Eastern Bloc countries, after having crossed Germany or Austria, often arrive on the lakesides of Constance, at the german-swiss border. Others arrive near Basel, and travel to Puy-en-Velay, either crossing Burgundy, or crossing Switzerland through Geneva. 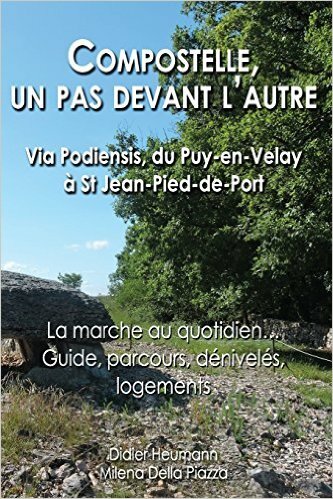 This site offers a detailed description of the ways through Switzerland (Via Jacobi), then of the two ways making it possible to reach Puy-en.-Velay (Via Lugdunum and Gebennensis) and then of Via Podiensis, which connects Puy-en-Velay to St Jean-Pied de Port/Roncevaux, at the Spanish border. This site covers most of the aspects of the travel (description of the stages, profiles, state of the ways, variations of altitude, and housing). The Way of St James is easy to most people. It is neither a very difficult way nor a dangerous way. The motivation and the pleasure remain the fundamental fuels of this tour. Listening to yourself, is one of the basic principles. Each according to his own rhythm so that the pleasure remains the key of the travel! The pilgrims are not all expert walkers. The foot is the basic argument of the pilgrim. It is necessary to know how spare it and organize the stages consequently. The state of the ways met (roads, ways stony or not, dirt tracks or grassy), the slopes of the course, the duration of the stages, are all parameters to be known in the planning of the stages, not to go in front of sometimes unexpected surprises. Then, most information which you found in this site (ways, diagrams, made uneven, state of the ways, addresses and phone numbers of the residences) were gathered in one entitled book: “Compostelle, a step in front of the other”. And easy to put in a pocket of its rucksack! Deliver available on Amazon. This little book, written in French, is only reserved for the description of Via Podiensis, the most popular way of France.